150 Facts About Canada... in 150 seconds - Gateway to Canada | Canada Immigration Consultancy! Gateway to Canada is one with Canadians all over the world in celebrating 2017 Canada Day, the 150th Anniversary of Canada! 150 Facts About Canada prepared by www.cbc.ca. 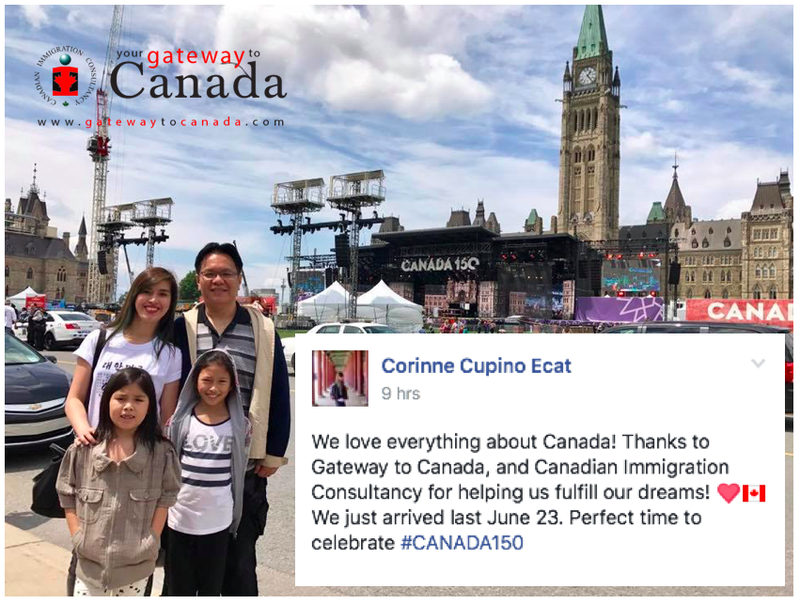 With Canadian Immigration Consultancy's almost 30 years in business, we've already sent thousands of clients to Canada who are now celebrating Canada 150. One of them is Ms. Corrine Ecat who recently landed in Canada and sent us this picture. Information about visa application to Canada is available for FREE at http://cic.gca.ca.